Find out if you might be eligible in a few minutes. 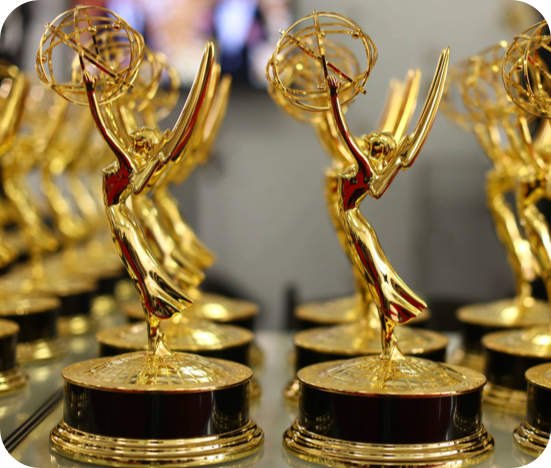 The Emmy Awards Eligibility Guide will help you determine your possible eligibility and give you contact information to begin the entry process. First time here? Click "Get Started." Returning visitor? Log in. Please enter the email you used to create an account and we will send you a password reset link. Please check your email and follow the instructions needed to reset your password. © Academy of Television Arts & Sciences / National Academy of Television Arts & Sciences. All Rights Reserved. Emmy and the Emmy Statuette are the Trademark Property of ATAS/NATAS.